The world-class city and territory of Hong Kong barely needs an introduction. It was everything I thought it would be and more; colourful, hectic, crowded, overwhelming, exotic and above all insanely exciting. It’s a place where a bustling metropolis rubs shoulders with rural fishing communities, where glistening skyscrapers sit next to forest-clad mountainsides. Formerly a part of the British Empire, Hong Kong is now a self-governing region of the People’s Republic of China. There’s such an abundance of things to see and do in Hong Kong that it would take months to tick them all off. 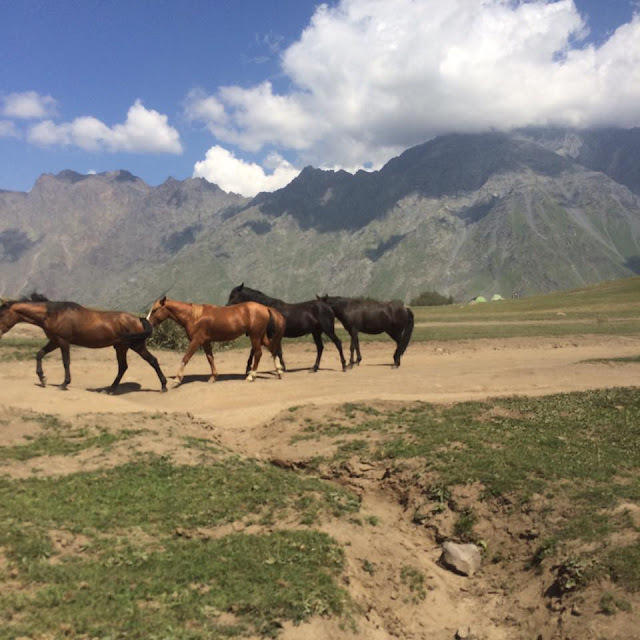 But as most travellers don’t have months to spare, I’ve narrowed it down to this list of my personal highlights, to help you get the most out of your time. I’ve also included some budgeting tips at the end of the article. 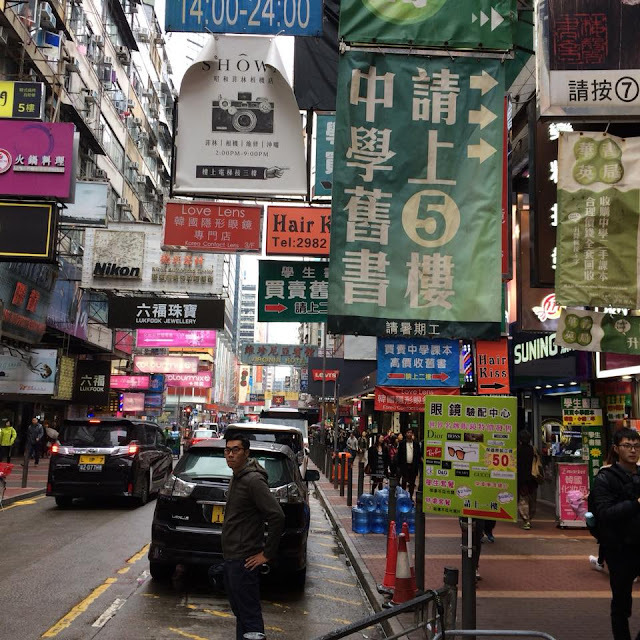 I’ll start with my absolute favourite place on this list – Mong Kok. These densely packed streets have an energy like I’ve never seen before. Whatever the time – day or night – these streets are buzzing. This is the Hong Kong I’d dreamed of; colourful, crowded and bursting with life. 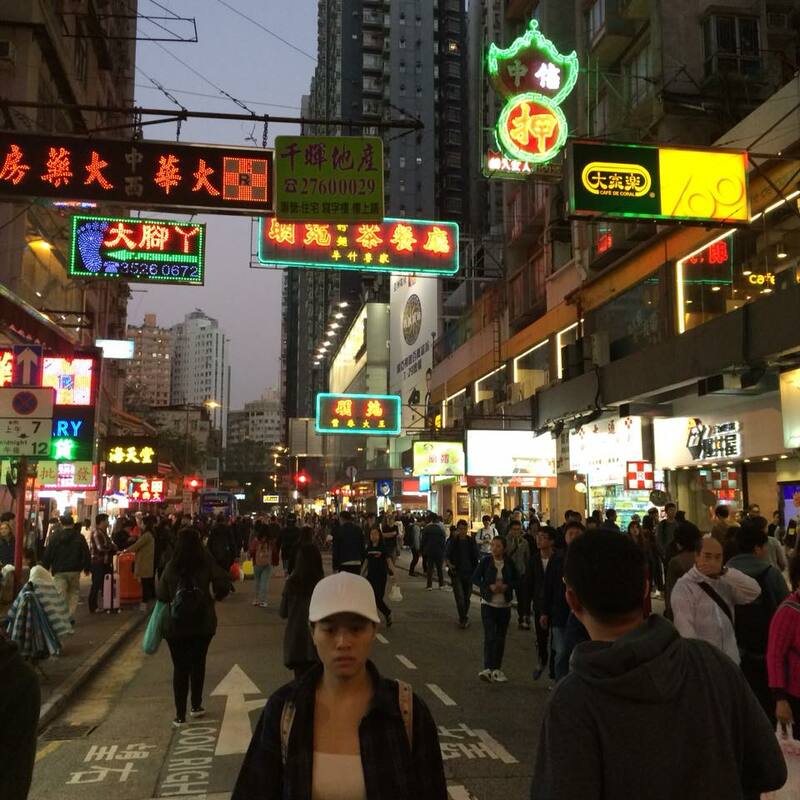 Bright neon signs almost obscure daylight and smells of Cantonese street food fill the air. Mong Kok is a circus for the senses. It’s both overwhelming and wonderful at the same time. Visit Mong Kok for its bustling night markets and excellent array of culinary delights. I was particularly excited to visit Chi Linn, as it’s the first Buddhist temple I’ve been to. I was taken back by the vibrant colours and tranquillity. This pretty, intricately decorated spiritual shrine is built almost entirely from wood, reflective of residents’ desire for harmony with the natural world. The main hall houses a large, gold statue of the Sakyamuni Buddha alongside other Buddhist treasures. The complex is surrounded by beautiful oriental gardens and lotus ponds; it’s a peaceful oasis in the busy city. Chi Linn is a short walk from Diamond Hill MTR station and entry is free. Flat land is difficult to come by in Hong Kong, so the only way to build is skyward! With more than 1300 skyscrapers above hundred meters in height, Hong Kong has more tall buildings than any other city in the world. And this makes for a pretty dramatic cityscape! The view is great by day, but it’s particularly spectacular by night. In the hours of darkness, the city transforms into a dazzling spectacle of lights. Some of the best views to be had are from the promenade in Tsim Sha Tsui (by the clock tower) or from the Star Ferry. The hugely iconic Star Ferry crosses the harbour between Tsim Sha Tsui and Hong Kong Island. Two different routes run regularly from Tsim Sha Tsui pier; one to Wan Chai and the other to Central. At just $3.30 HKD (£0.30 GBP) per trip, it’s the cheapest and one of the easiest ways to cross the harbour. There are fantastic views of the city, and the experience certainly has a novelty factor. The Star Ferry has been in operation since 1888 and holds a special place in the hearts of Hong Kongers! For such a seemingly ultra-modern city, Hong Kong has done a fantastic job of preserving traditional culture and traditions. 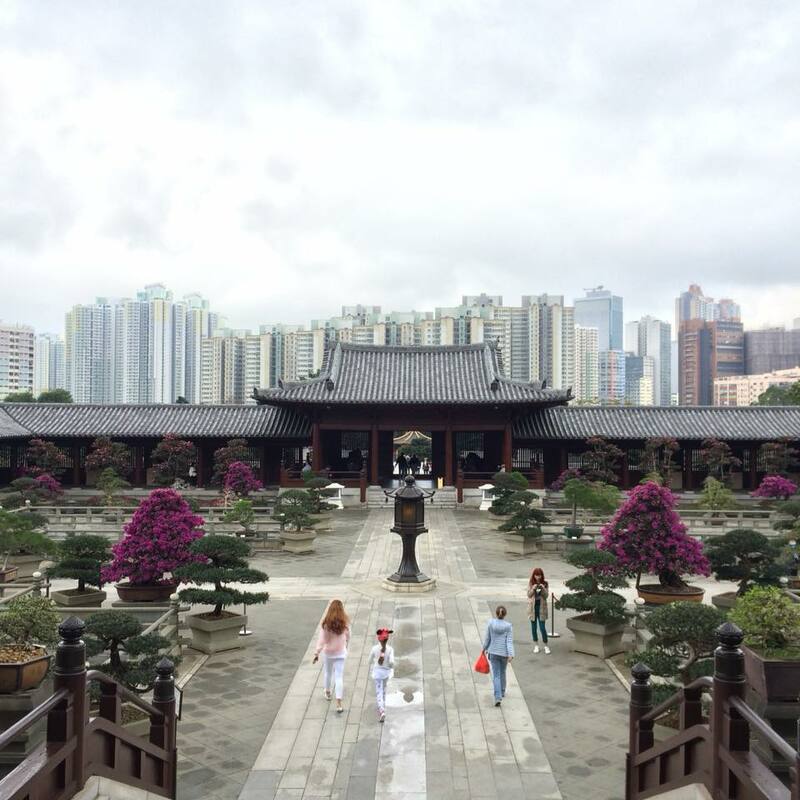 To get an authentic flavour of the Far East, there’s no better place than the temple of Wong Tai Sin. 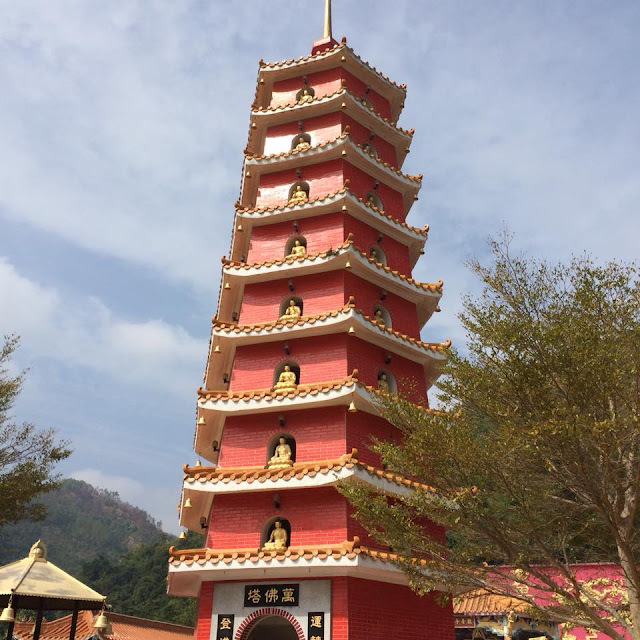 This intricately decorated, and vividly colourful temple is a spiritual sanctuary for both Buddhists and Taoists. 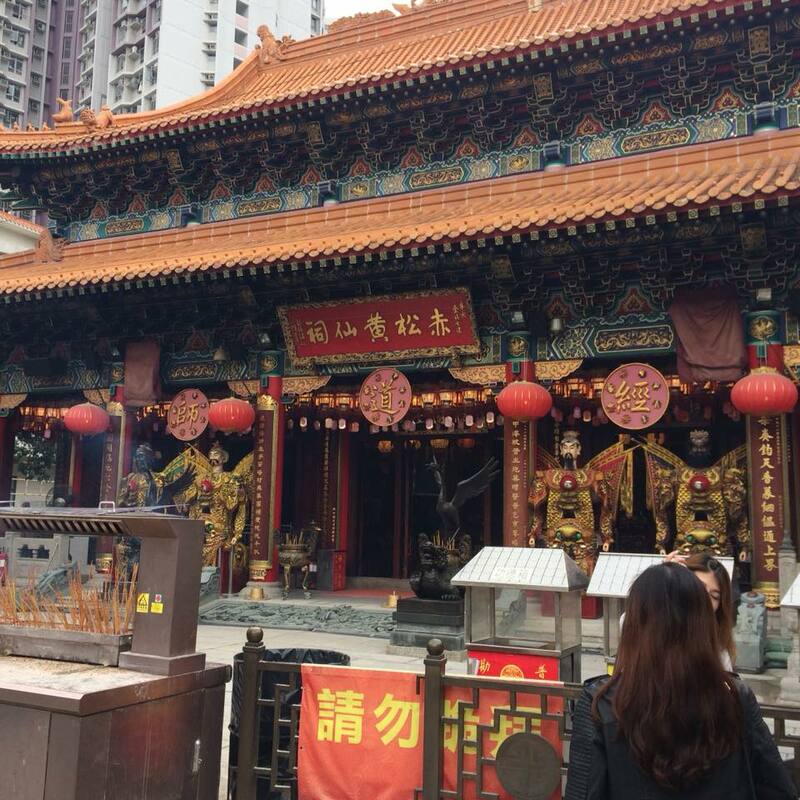 This temple is really easy to reach from Wong Tai Sin MTR station, so it can become a bit crowded - particularly on weekends. But its popularity is well-justified – it’s stunning! 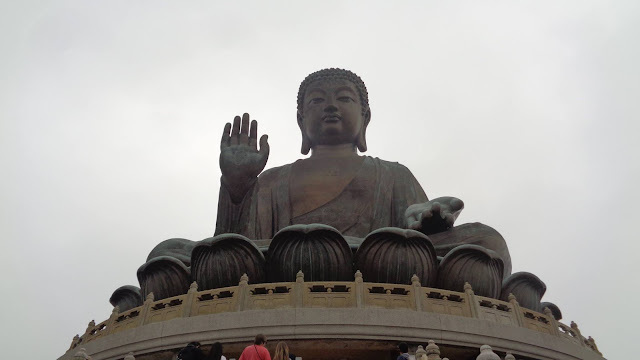 The huge Tian Tan Buddha sits tall above Lantau Island. This stunning bronze statue is amongst the biggest of its kind in the world and the rugged natural setting really adds to the appeal. The strenuous climb of 268 steps from Ngong Ping village is worth it for the fabulous views over the Po Linn temple and the surrounding countryside. A scenic, but quite pricey cable car ride links the site with Tung Chung MTR station or alternatively you can take the bus. 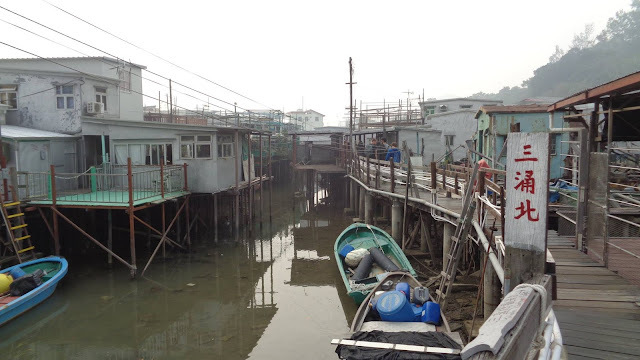 A short bus ride from the Tian Tan Buddha is the cute ‘floating’ fishing village of Tai O, known for its traditional stilt houses and slow pace of life. It’s such a unique little place and it’s so beautiful. Tai O feels a million miles away from the bright lights and busy streets of Hong Kong or Kowloon. Traditions here have stood the test of time and it’s a delight to explore. Wander through the maze of little alleys and fish markets, soaking in the atmosphere, then take a boat ride through the labyrinth of canals and stilt houses. You really get a unique perspective from the water. 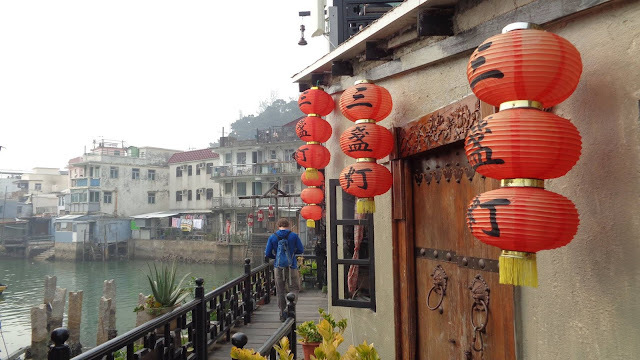 Boats leave frequently from the village’s main pier and should only cost around $30 HKD (about £3 GBP). This much-loved and near-vertical historic funicular carries passengers high above the skyscrapers to the summit of Victoria Peak. From here, there are spectacular panoramic views over Hong Kong and on towards Mainland China. Be sure to visit on a clear day, as views are often obscured by mist and be prepared for long queues! Of all the temples in Hong Kong, the Temple of Ten Thousand Buddhas is probably my favourite. I love the vivid colours and secluded location - this temple feels so peaceful. 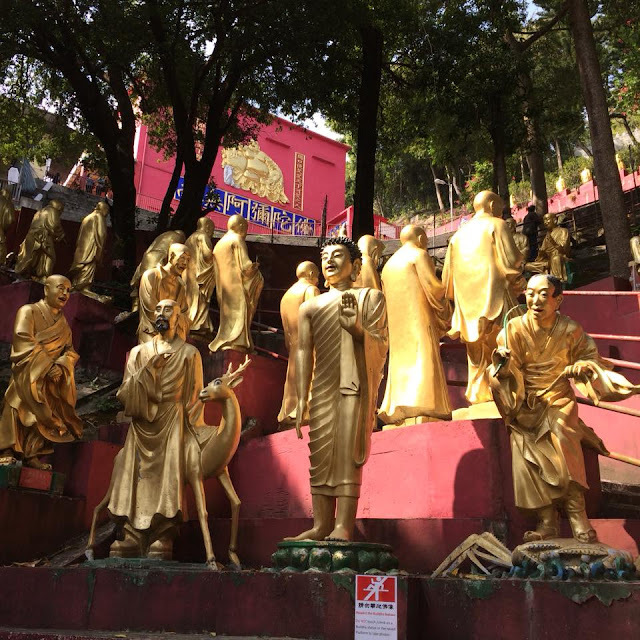 A winding path, lined with gold-coated Buddhist statues, zig zags up a hillside from Sha Tin MTR station to the main temple and iconic red pagoda. It feels very authentically ‘oriental’. And I know what you’re thinking; are there really ten thousand Buddhas?? There’s actually a little under 13 thousand! Entry is free and there’s a vegetarian restaurant on the site. 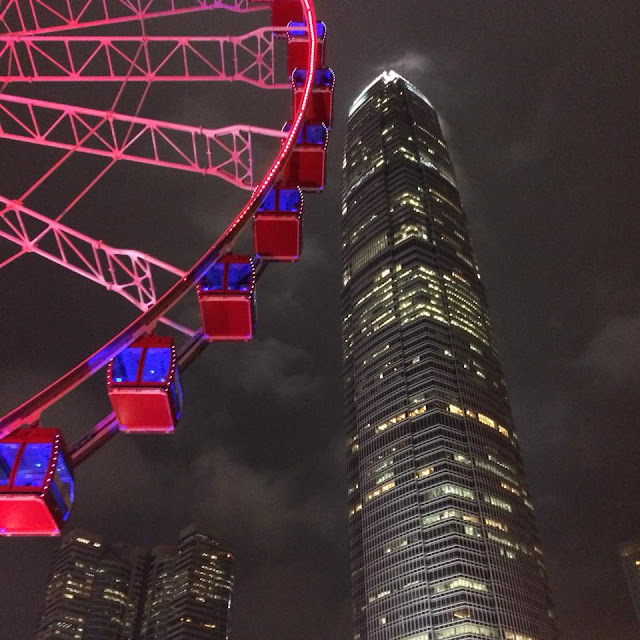 Hong Kong is a safe and incredibly exciting place to visit and is very tourist-friendly. Countless airlines run daily flights to HKG from every continent and passport holders from most countries can enter the territory visa-free. Unfortunately, the city has a reputation for high prices, and this is likely to be the biggest obstacle for budget travellers. Accommodation will almost certainly be your biggest expense. Expect to pay around $180 HKD per night for a shared dorm in a decent backpackers’ hostel. 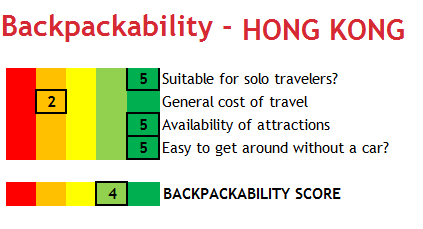 There are lots of fantastic hostels in the city, mostly in Tsim Sha Tsui or Central. I stayed at Hopp Inn Hostel and it was great. Hotels are tear-inducingly expensive – expect to pay upwards of $600 HKD per night in a single room in a low-end hotel. Be wary of the cheapest deals. Food prices are comparable to those in Western Europe, but it’s actually relatively easy to eat well on a low budget. 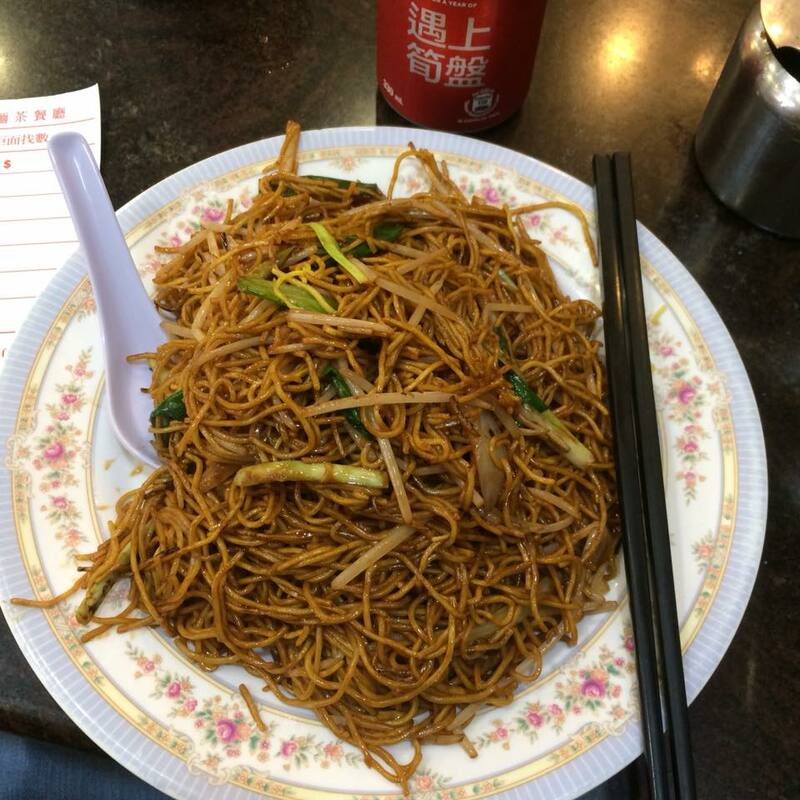 Local dishes in mid-range restaurants should cost between $80 and $120 HKD, but street food and simple noodle dishes can be as cheap as $30 HKD. Western food is widely available, but tends to cost more. Despite the city’s thriving party scene, drinking tends to be a pricey hobby in Hong Kong; expect to pay about $50 HKD for a Chinese beer at a bar, or around $70 HKD for a glass of wine. Supermarkets are considerably cheaper. In contrast, transport is extremely cheap, efficient and easy to use. Hong Kong is quite frankly stunning. For me, it was love at first sight and I’d urge anyone and everyone to visit! I hope this article is helpful – thanks for reading!